Xenon LED Wedge Light Bulb White T10-13SMD HK-Q00330WH, Buy at lowest prices. Xenon LED Wedge Light Bulb White is much brighter and colorful than the stock White tungsten lamps. T10-13SMD Brake Bulb is straight forward to fit and it looks absolutely awesome on the car. Features a T10-13SMD base with 13-SMD LED bulbs which can be used with most vehicles. White light car stop brake reverse lamp T10-13SMD Tail Bulb to give fantastic effect. 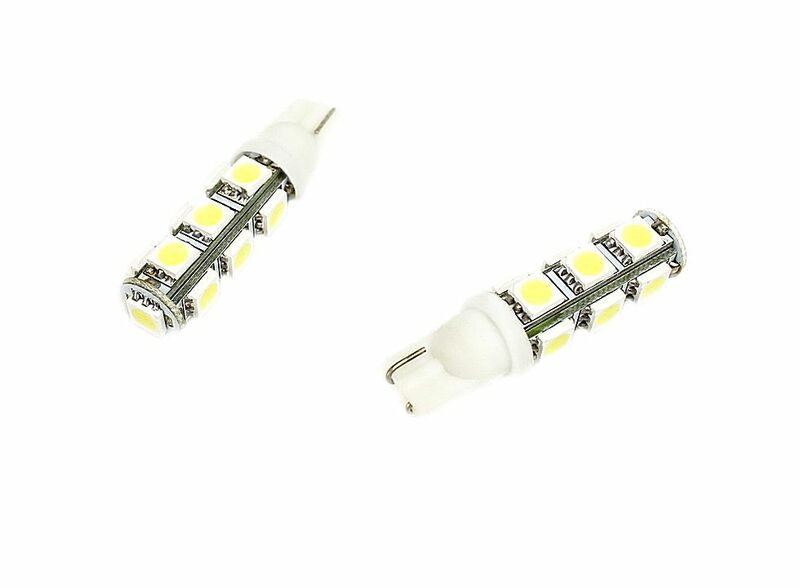 1 x Xenon T10-13SMD LED Wedge Light Bulb White.